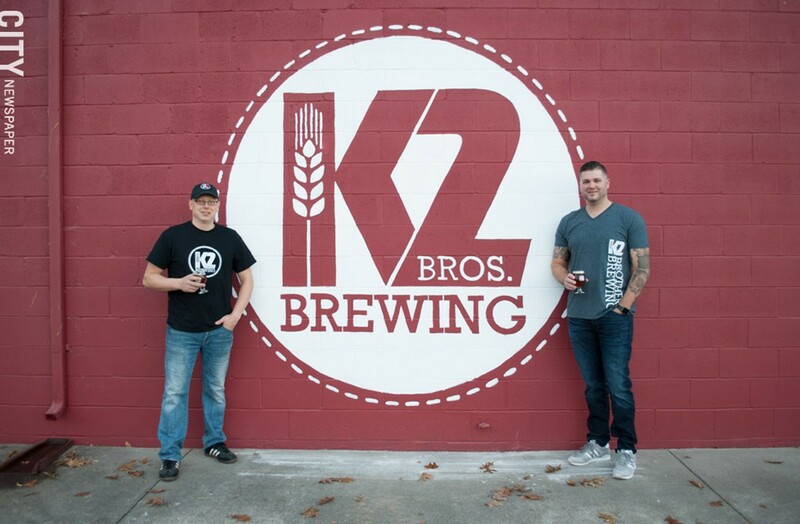 Brad and Kyle Kennedy opened K2 Brothers Brewing on Empire Boulevard in early December. 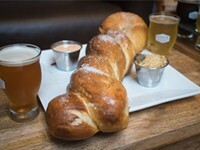 Wednesday and Thursday, 11 a.m. to 10 p.m.; Friday and Saturday, 11 a.m. to midnight; Sunday, 11 a.m. to 8 p.m.
K2 Brothers Brewing is truly a family affair — which is perhaps unsurprising, given that the brewery's name alludes to siblings. The New York State Farm/Micro Brewery, owned and operated by brothers Kyle and Brad Kennedy, officially opened its doors on Saturday, December 2. 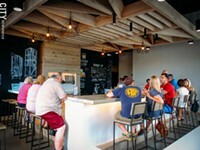 The brewery focuses primarily on American-Style beers. "We love our IPAs and that is where we started...especially the New England style IPAs," Brad says. Even though the pair enjoy lighter beers, Kyle's wife Brittney prefers porters and stouts, so they are brewing a few here and there — with a slightly dryer American-style finish — to satisfy different tastes. "Our Jalapeño Cream Ale has also become a favorite," Brad says. 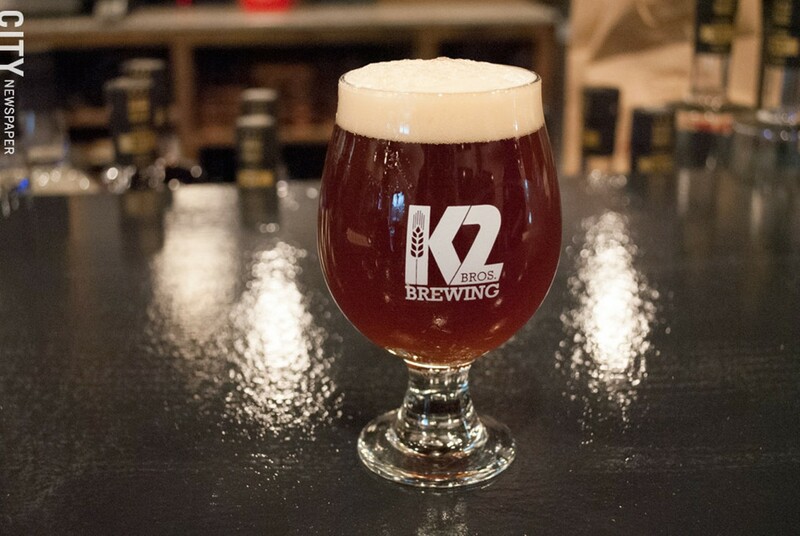 K2 has 11 beers on tap, including their Scotch Ale, Galaxy IPA, and New England-Style Double IPA. Being a family brewery, they aim to have something for everyone. Along with beer, they'll also will be serving NYS craft mixed drinks, some using their own beer, NYS ciders, and NYS wines. "We will also be carrying NYS craft soda and offer soda tastings for kids," Brad says. The idea to open a brewery was born over a year ago on one of their back porches. 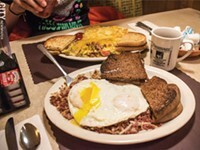 "From that moment, we started writing the business plan and pitching to banks," Brad says. This conversation didn't come out of nowhere. Kyle has been homebrewing as a hobby since 2011, and when Brad moved his family to Penfield, the brothers began to brew for fun on the weekends. 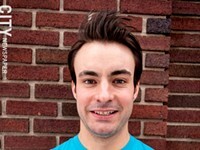 Brad also has a degree in chemistry, which aided in perfecting their brewing process. Together they began experimenting with different styles and recipes, and soon they were sharing with friends and family. Everyone loved their beers, so they decided to go into business. When opening any business, whether it be a brewery, coffee shop, or a skating rink, nothing is guaranteed to go smoothly. "We hit snags, but working together and always being with family helps a lot," Kyle says. "We push through and work harder because we are family." The family atmosphere goes beyond just the brothers themselves: Their father, a general contractor, oversaw all the renovations; their mother is their accounts manager and handles all the bookkeeping; and their wives handle event planning, graphic design, and the website. "It's truly a team effort," Brad says. The renovated building is two floors with 4,800 square footage on each for a total of 9,600 square feet. The current operation will only take up the first floor, with half of the space as a tap room and the other half as the brewery itself. Eventually, as the business grows, the brothers plan to remodel the second floor. "We planted ourselves in a great place to grow," Brad says. "The dream is to open the upstairs with a deck as a private party room where patrons can enjoy the view of the bay." The brewery also has a large fenced-in outdoor space which will be renovated into a beer garden just in time for spring 2018. K2 Brewery is located on Empire Boulevard which Brad says in an up-and-coming area with the new Waters Edge Apartments, and gets a decent amount of traffic coming through. "The view of the bay is what really sold us," he says. "Having the marina across the street is an amazing bonus." In terms of food, the brothers decided to try something a little unique in the world of craft brewing. 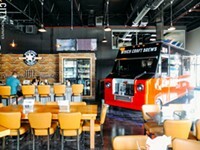 It's fairly common to see food trucks parked in front of breweries — this is a relationship that benefits both the brewery and food vendor. K2 takes this relationship one step further: "We partnered with Midnight Smokin' BBQ, currently a food truck, to lease our kitchen," Kyle says. 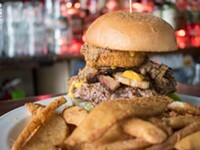 Midnight Smokin' will serve ribs, pulled pork, brisket, and other barbecue favorites while K2 provides the beer. In recent years, a number of breweries have popped up in the Rochester area. That might make some people wonder where exactly K2 fits into the now-saturated market. "The Rochester beer scene is a real community," Kyle says. "This is not the norm across the country and we are thankful to be a part of such an encouraging, close knit community where brewers get together, talk shop openly, and are friends." They brothers are excited to open the doors and share their passion for craft beer with the community, their friends, and family. "We are looking forward to sharing our beer and drinks with the Rochester community, which has supported us more than we could have ever imagined through this entire process," Kyle says.